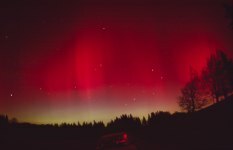 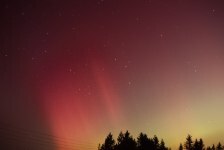 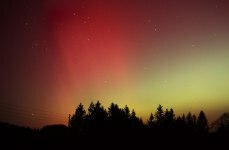 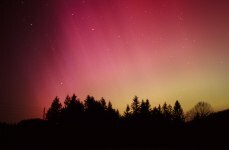 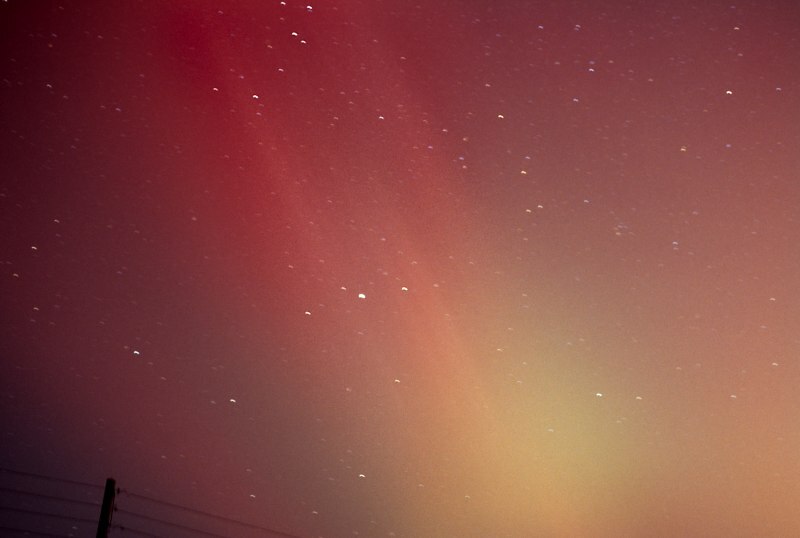 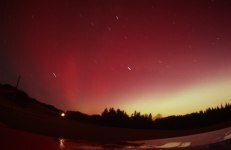 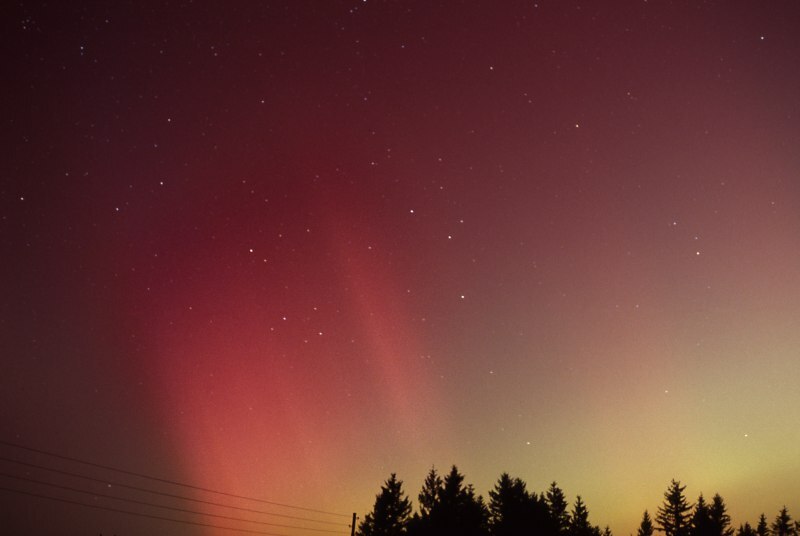 This page contains photos of the Aurora Borealis above Austria on November 20th, 2003. 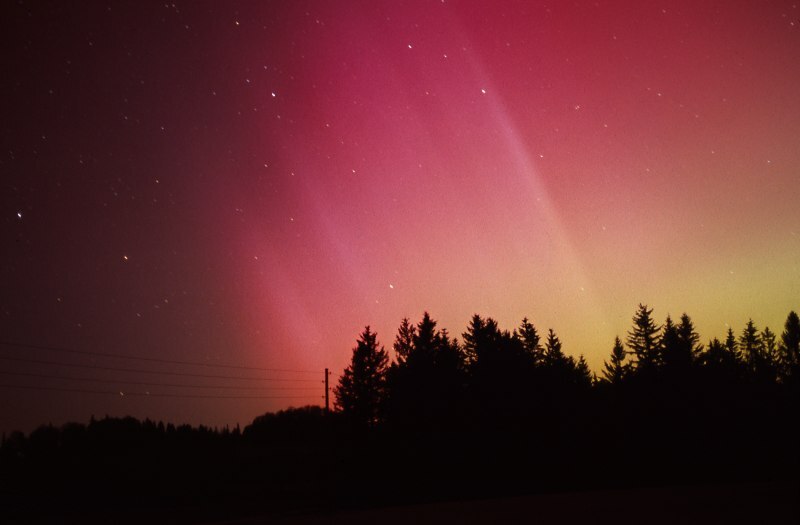 Aurora Borealis is a very rare event in Central Europe, and the Aurora of that evening was very special in intensity, colours, detail, and duration. 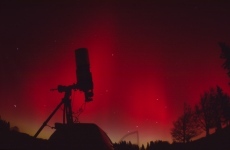 I was lucky to stay at the Ebenwaldhöhe, Lower Austria, during that night, where I actually wanted to take some Deep-Sky astrophotos, which was rendered nearly impossible by the bright Aurora appearance. 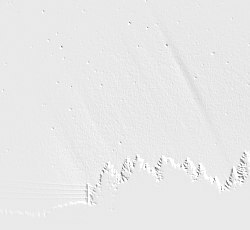 Photos are given in chronological order. 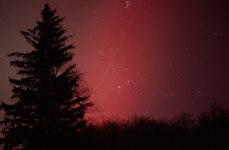 Click here for an observation report of that event, in German.